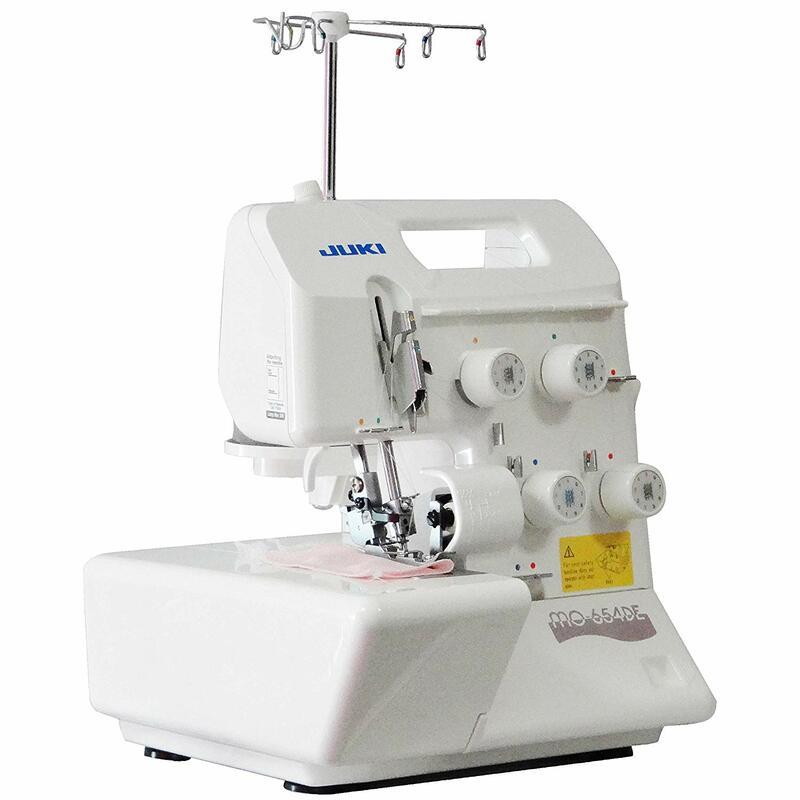 Juki MO654DE is one of the most user-friendly Serger sewing machines for domestic use. 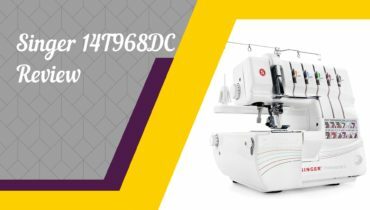 If you wish to buy an easy to thread, handy, and maintenance friendly Juki Portable Serger machine, the model Juki MO654DE is one of the best options you have in your ready access to buy from the market. This is a no-frill Serger machine, and it functions pretty well. One of the best prominent features of Juki portable MO654DE sewing machine is its color-coded threading guide, which is clearly defined with tension guide graphics printed on its 4 tension dials. Most of the Juki Sergers are built with color-coded thread guides, as threading a Serger is always an intricate task, this MO654DE is extravagantly designed in this aspect, and therefore entirely easy on eyes and handy for beginners. As a user, you may adjust the size of the seam with the help of a little dial facing the pressure foot. The involved foot is built with a groove for twill tape or clear elastic, making it extremely easy to make your seams steady and consistent. The availability of 2/3/4 thread provides you plenty of option for seam finishes. The built-in differential feed ensures you for getting a perfect, smooth seam regardless you’re sewing with knits or you are using wovens. Clearly marked seam allowances on the case which is a definite advantage of new users. This Juki Portable Serger machine comes with almost everything which are called essential accessories. 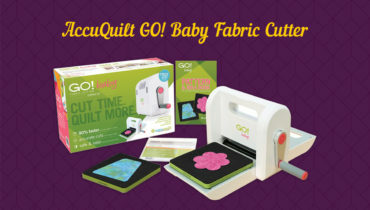 It includes a standard presser foot, screwdrivers (large and small), spool caps, oiler, thread nets, vinyl cover, needle pack, tweezers, brush, needle inserter, needle threader, guide bar, accessory pouch, light bulb, instruction manual, and foot control. A blind stitch presser foot: it can help you to stitch blind hems. An elasticator presser foot: it is used for attaching elastic tape for stretch fabrics. A cording presser foot: it is used for fastening cording, such as nylon string or wire, to the edge of the fabrics. A beading presser foot: it is useful if you wish to attach decorative pearls and beading with overlock stitching on a straight edge. The curved beading presser foot will allow you to do this but on a curved edge of the fabric. A piping presser foot can be attached to the machine: it is perfect for attaching piping. A gathering presser foot can be attached: it can be used for sewing with the pre-installed differential feed. Lower looper construction of the machine is completely user-friendly. Using and threading a Serger can be difficult at least for beginners, but with Juki MO654DE it is really not a trouble at all. With your limited knowledge or no knowledge of serging, you can get to use this Juki Serger at ease and with complete peace of mind as it is low on maintenance. 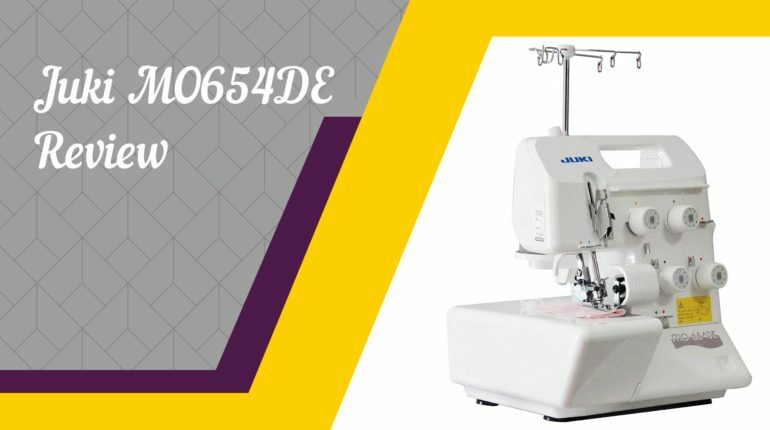 If buying a Serger is in your next agenda, you can count on Juki MO654DE: it is just the best for your serging need.